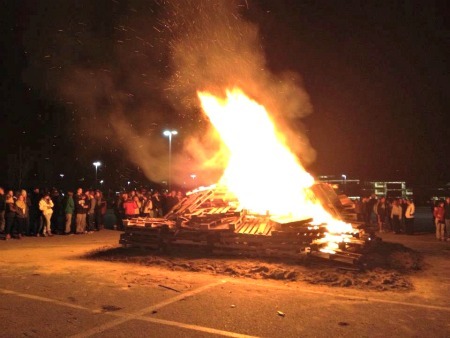 The Lincoln-Sudbury All Sports Boosters Club hosts the annual Pre-Thanksgiving Day ceremonial bonfire at L-S in the back parking lot. The event is open to the Lincoln and Sudbury communities. Come hear live music courtesy of L-S student bands. Pizza, hot chocolate and baked goods are available.